Jager NA JH UT II a.k.a. "Fowler"
Fowler is owned by our son, Jared, and his wife, Jenna. 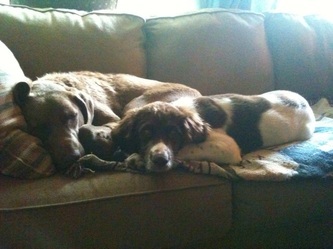 They currently live in North Carolina. Fowler is imported from the Netherlands and was bred by Sjors Vriend in Medemblik, NL. 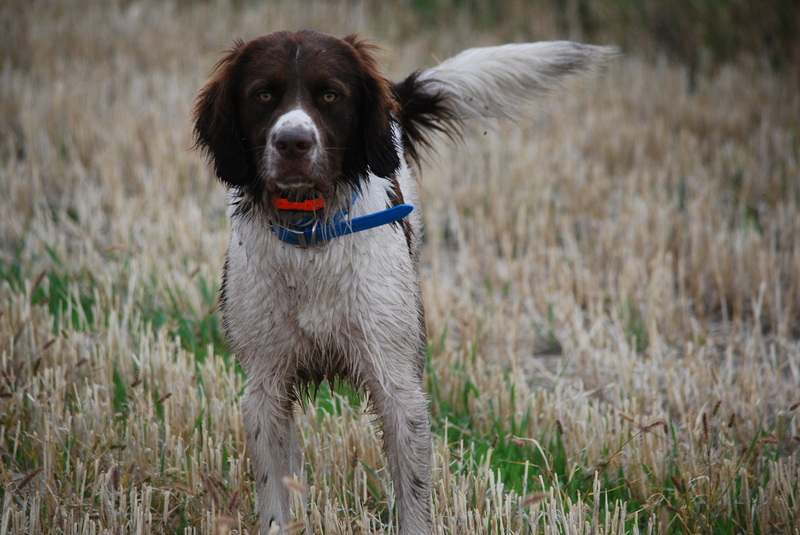 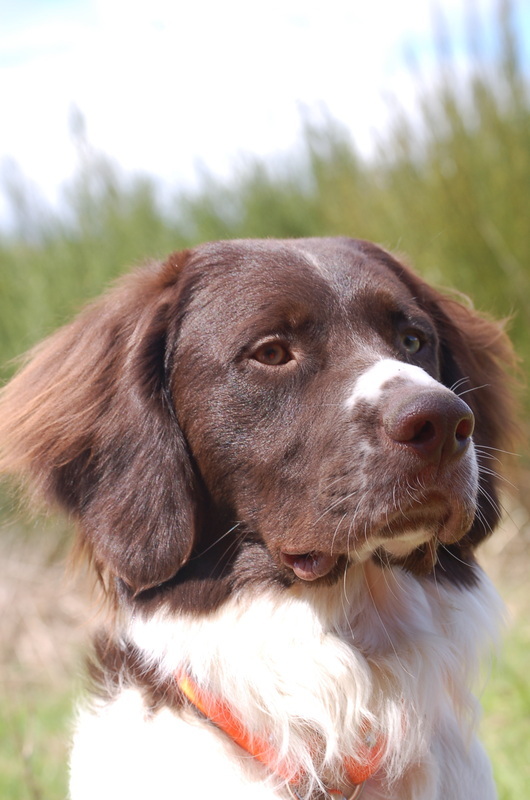 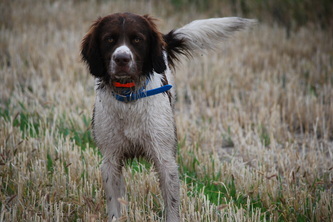 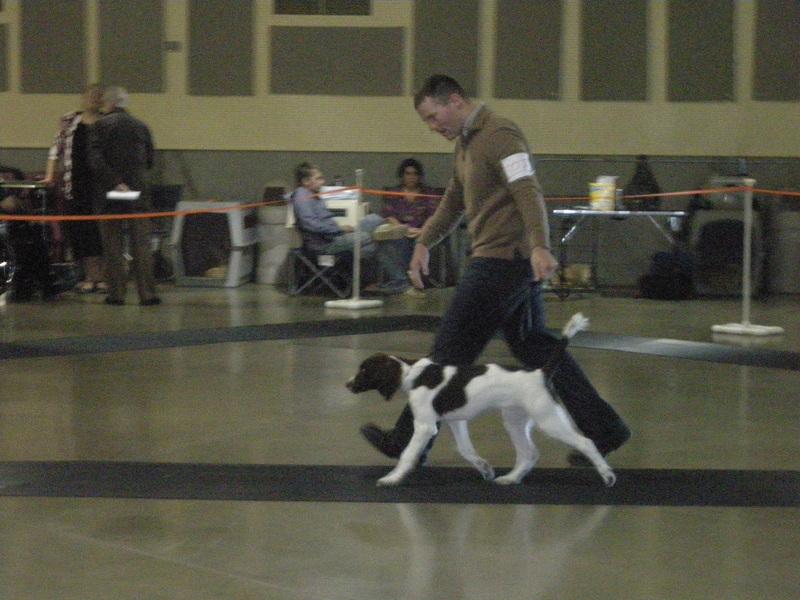 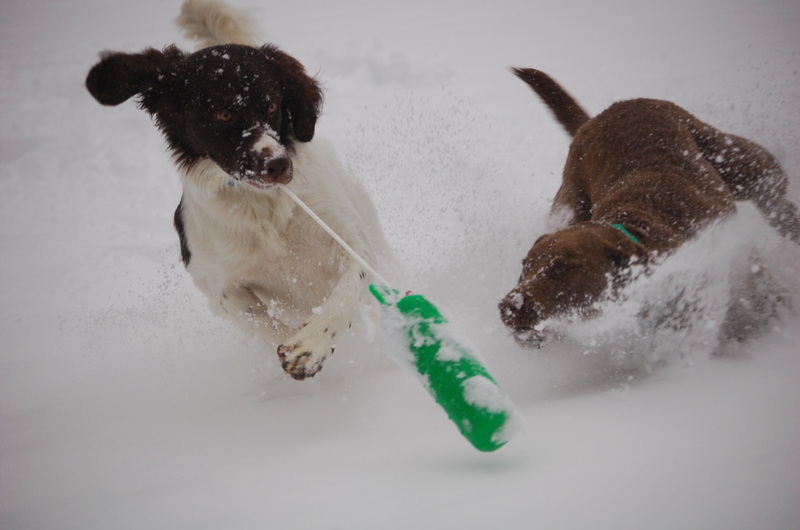 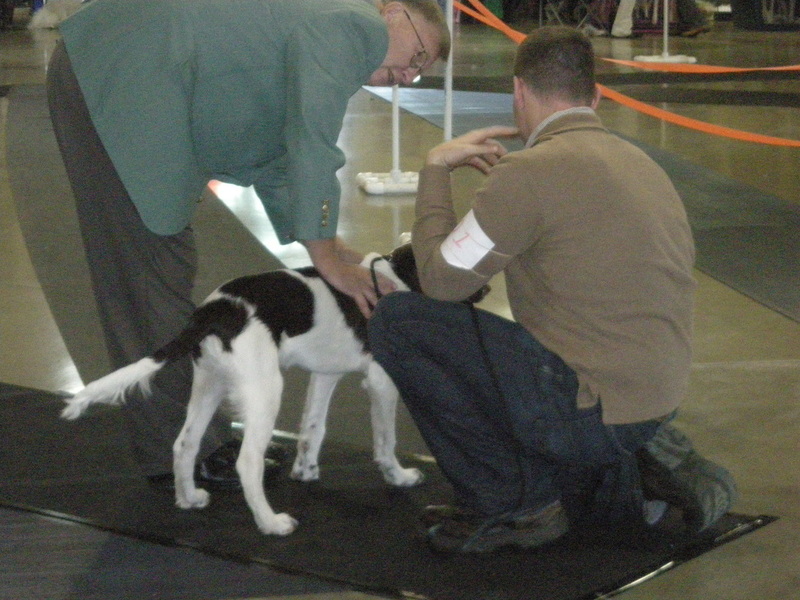 Fowler has excellent bloodlines and was sired by Floris Phebe van Groevenbeek, the Dutch Clubwinner for 2010. 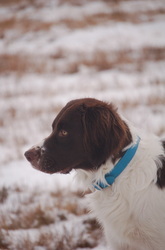 Fowler is a very sweet boy. He is an excellent hunter and has accomplished a lot in his short life thus far. 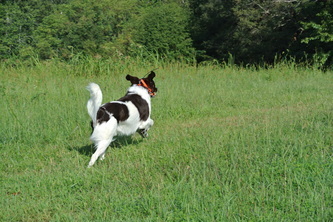 Fowler is a joy to have in the house. He excels at "extreme cuddling." 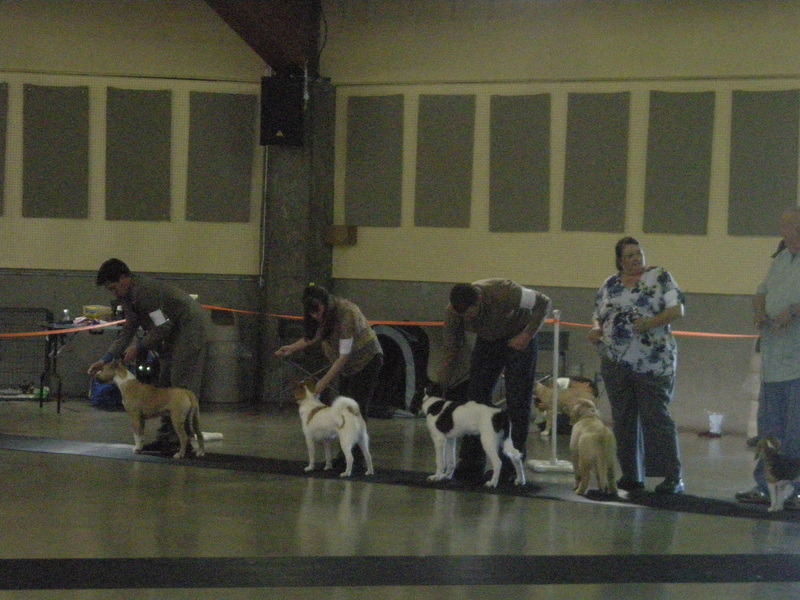 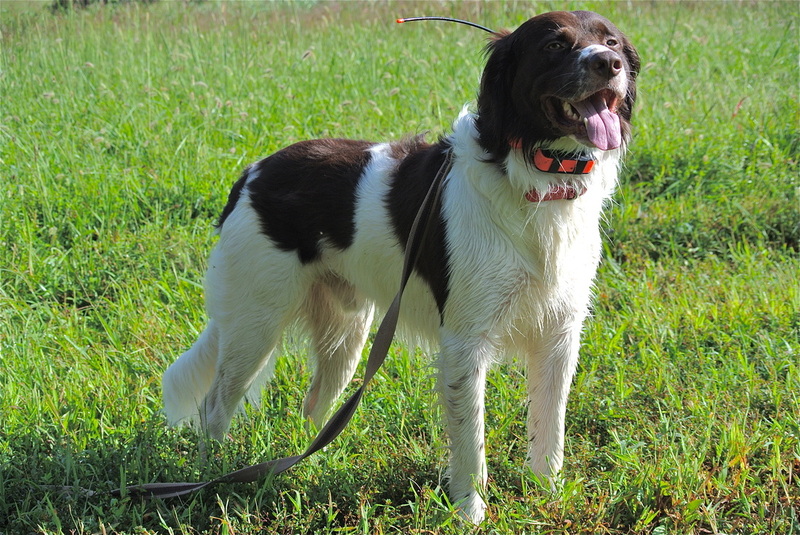 Fowler, like most Drents, has no "personal bubble" and will attempt to be close to you whenever possible. Fowler is an average sized male Drent, with medium bone, great reach and drive, and a good head. 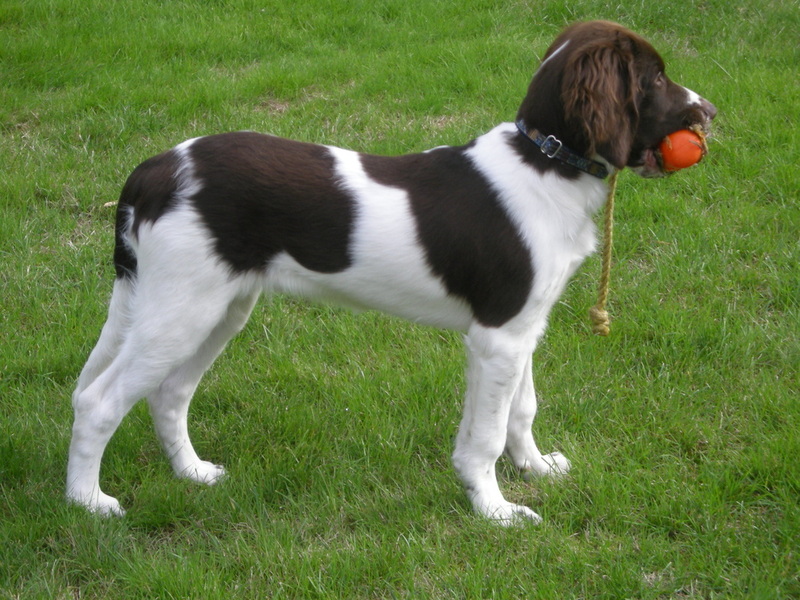 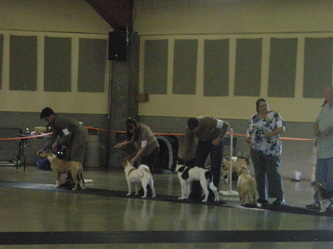 He has a medium-length coat with larger brown plates. 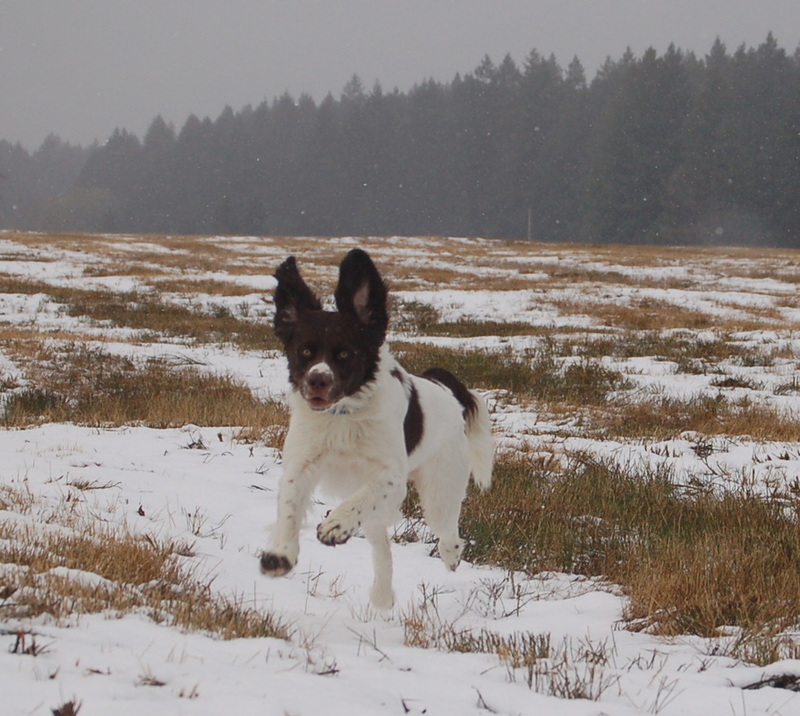 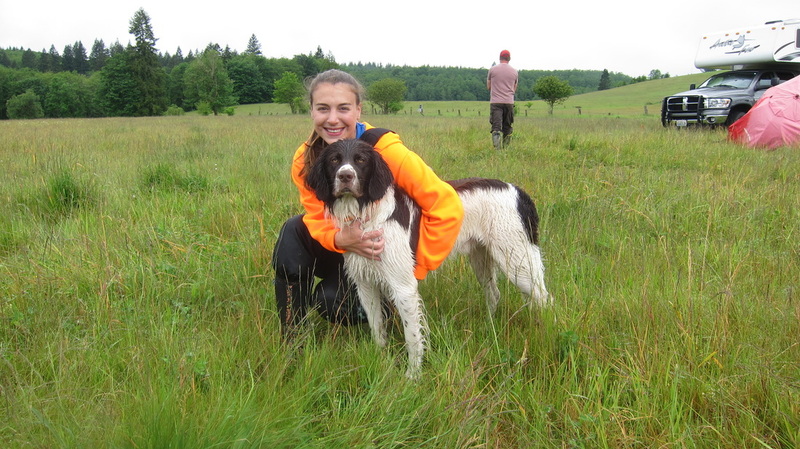 He's incredibly fast in the field and has a natural range of 80-100 yards. 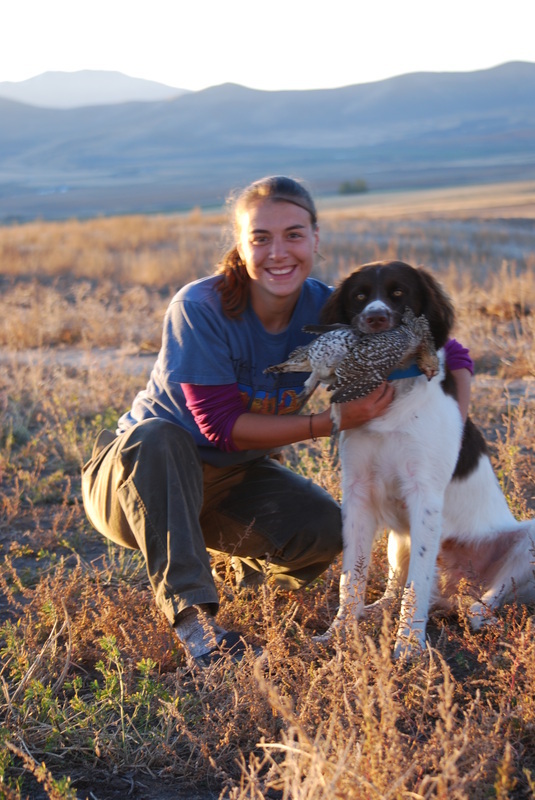 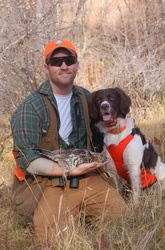 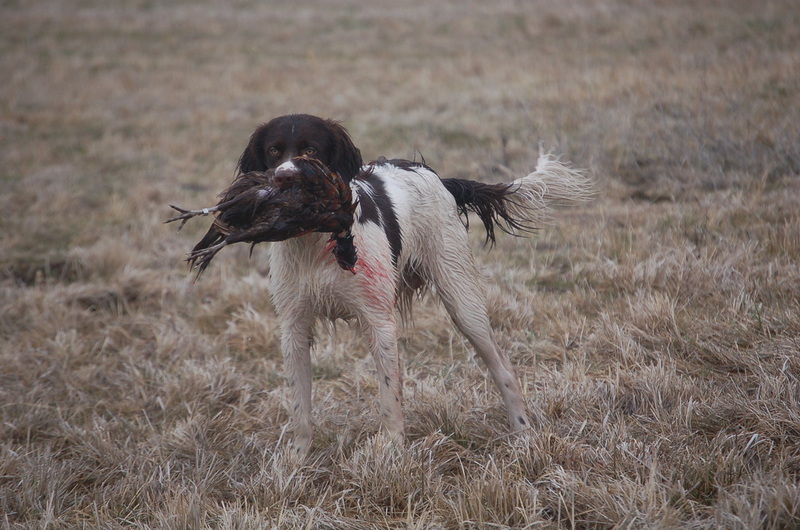 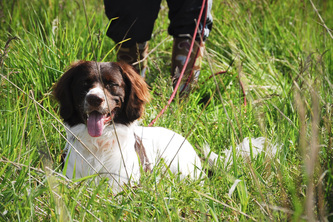 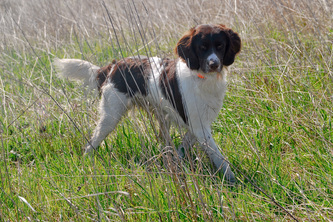 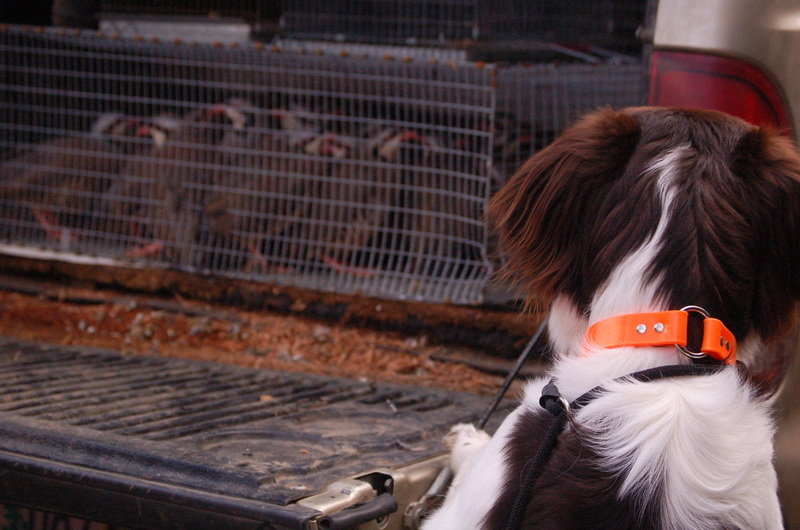 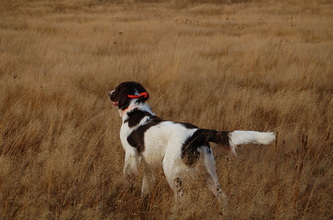 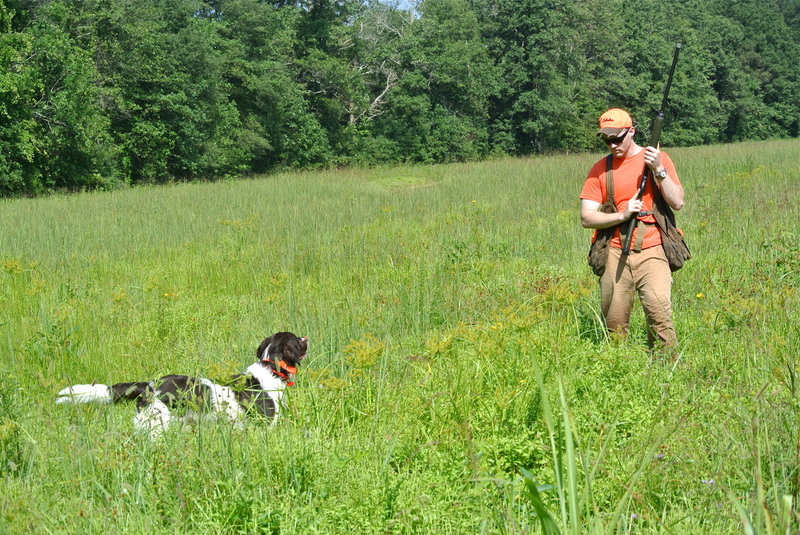 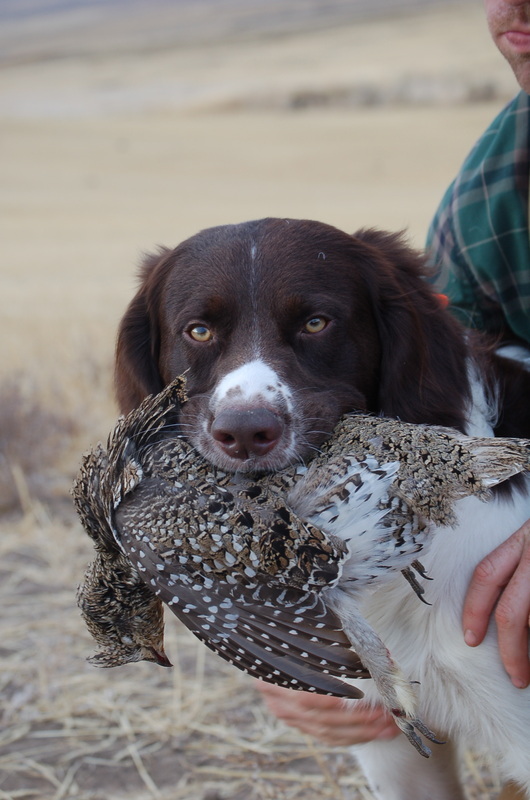 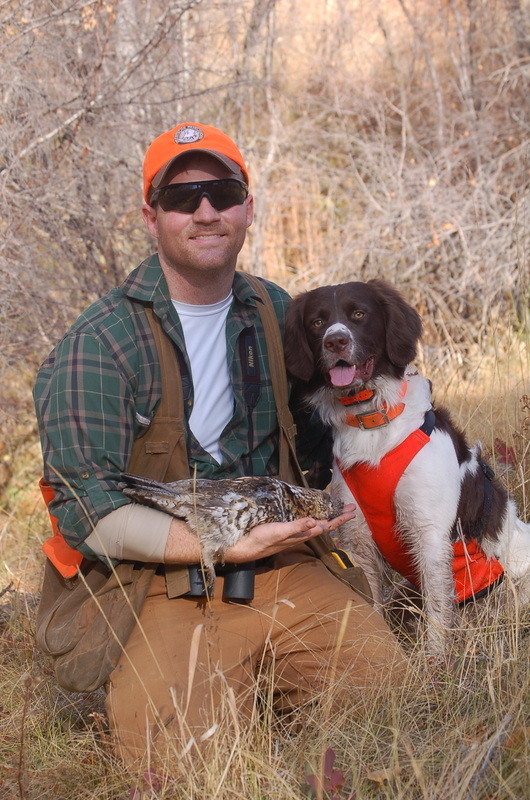 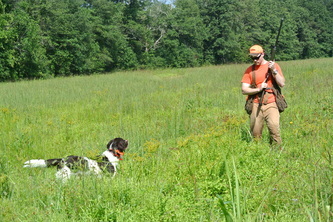 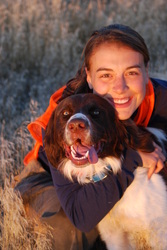 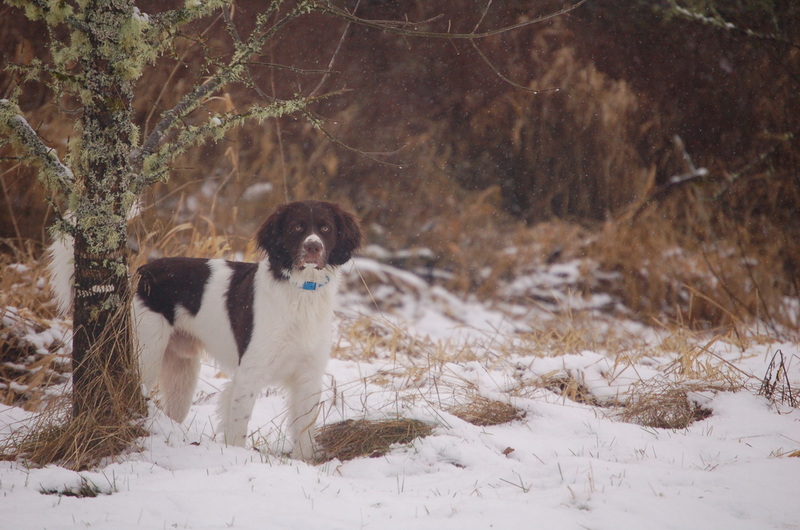 Fowler does well hunting all types of birds, including grouse, pheasant, quail, chukar, and huns. 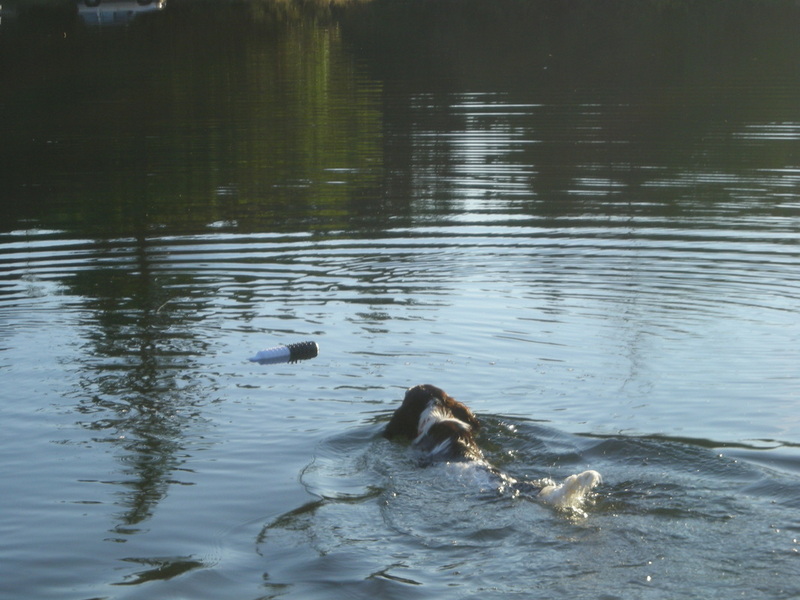 He also loves to retrieve ducks and gets very excited when he sees decoys come out! 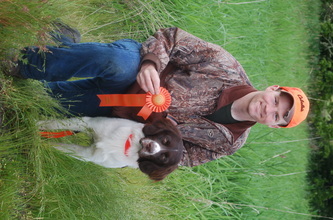 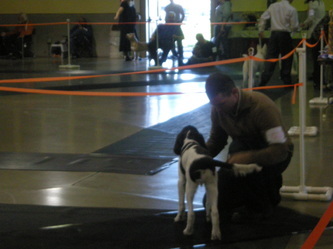 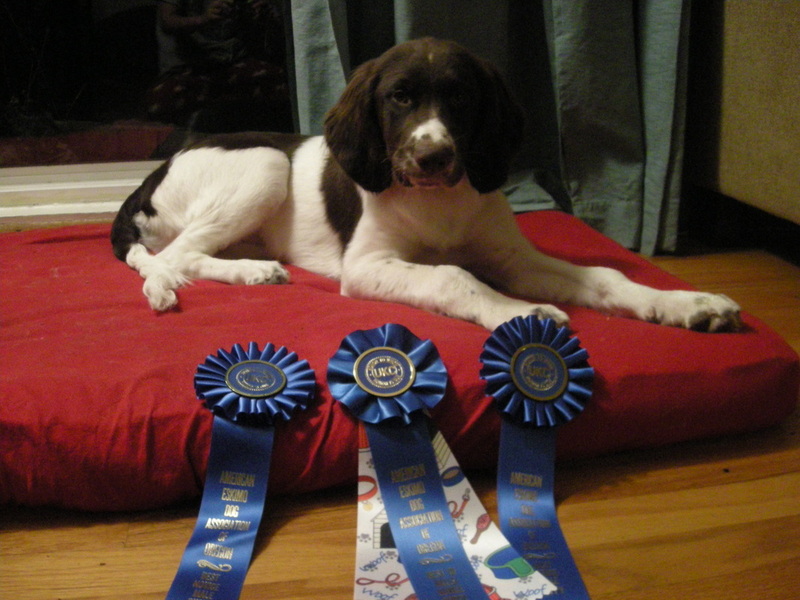 Fowler after earning his NAVHDA Utility Title!